Sync and charge your iPod quickly and easily! Connect your iPod to your computer to transfer and manage music and even charge the battery. 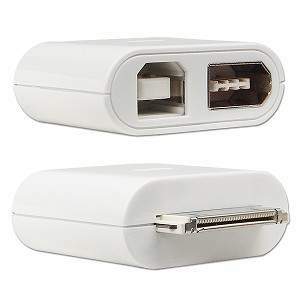 This USB and FireWire adapter allows you to synchronize your iPod with dock connector through any USB or FireWire connection! PC or MAC - it doesn't matter, this cool little must have iPod accessory works with both! Pick up one today!